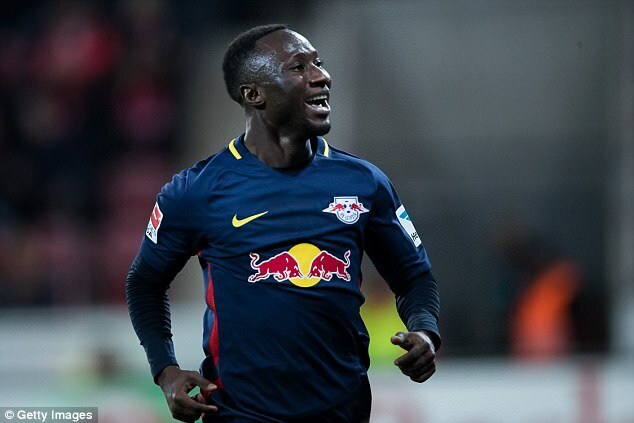 Liverpool have launched what could be the most expensive recruitment drive in their history with the £55million club record signing of Naby Keita. Jurgen Klopp has tracked the Guinea midfielder all year and on Monday Liverpool agreed a deal with RB Leipzig that will see Keita, 22, arrive at Anfield in 2018. Liverpool paid a premium of £7m on top of the £48m release clause due to kick in next summer to ensure they landed their man. But that is unlikely to be the end of Liverpool’s spending before Thursday’s deadline. The priorities now are Southampton defender Virgil van Dijk (£70m) and Monaco forward. 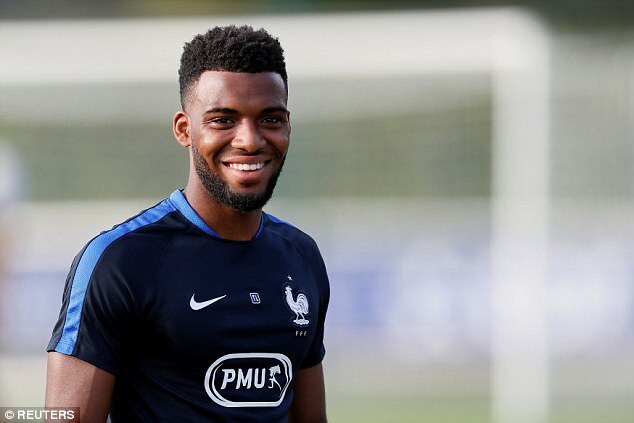 Thomas Lemar (£75m), though two bids for Lemar have been rejected. Arsenal’s Alex Oxlade-Chamberlain (£35m) remains an alternative. Should those prized targets be landed, it would take their outlay for this window towards £250m. Having thrashed Arsenal 4-0 to show their potential for the season ahead, Liverpool are now determined to make a statement in the transfer market and were they to land Van Dijk and Lemar it would turn them into genuine title challengers. The task of having both those players on board by Thursday is complicated. 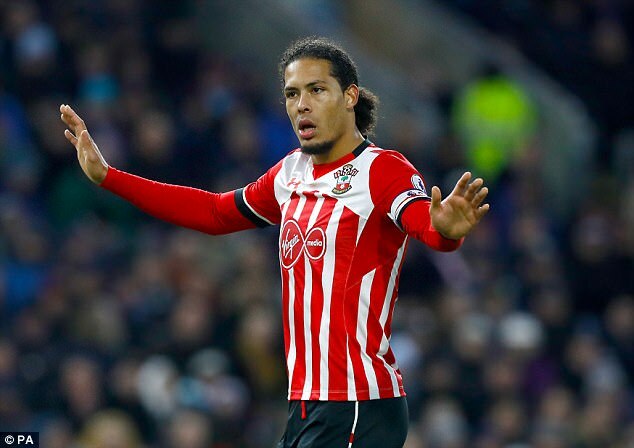 Southampton have made it clear publicly and privately that they will not consider selling Van Dijk, who has been training alone since he handed in a transfer request three weeks ago. Liverpool withdrew their interest in signing Van Dijk earlier this summer after Southampton asked the Premier League to consider allegations of an illegal approach, but, crucially, Van Dijk’s desire to move to Anfield — and Klopp’s wish to see him in the heart of his defence — has never changed. Southampton manager Mauricio Pellegrino said at Huddersfield on Saturday that ‘Virgil will be here on September 1’ but relations between club and player are understood to be at an all-time low and he has his heart set on leaving. It is likely, then, that Liverpool will pursue Van Dijk before the deadline, particularly with Arsenal and Chelsea also waiting in the wings. Should any move materialise, it will be a world record fee for a defender and cost more than £70m. Lemar, meanwhile, is one of a number of Monaco players after whom Liverpool have enquired this summer, the others being Paris Saint-Germain-bound Kylian Mbappe and Bernard Mendy, who preferred to join Manchester City. It would take a fee of about £75m for Liverpool to stand any chance of prising Lemar away from Monaco, as the French champions have indicated they do not want to lose any more of the squad who reached the Champions League semi-finals last season. In an attempt to soften the blow, Liverpool would be prepared to use Divock Origi as a makeweight in a deal to persuade Monaco to sell Lemar, who has joined up with France’s squad in Clairefontaine ahead of their World Cup qualifiers this weekend. Origi has become frustrated by his lack of starting opportunities and has been linked with Tottenham, as well as clubs in France and Germany, so it is possible he will be used as a bargaining tool. It will not be easy to get Lemar out. Another obstacle is the fact that France coach Didier Deschamps will not allow his players to leave the camp to conduct transfer business and it could be Liverpool turn to Oxlade-Chamberlain. The caveat with him, though, is whether Arsenal would do business with one of their rivals. Liverpool’s ability to recruit players at the top end of the market has been dramatically improved by the fact that they have qualified for the Champions League group stages and Lemar has the calibre and class to fit seamlessly into their lightning fast attack. 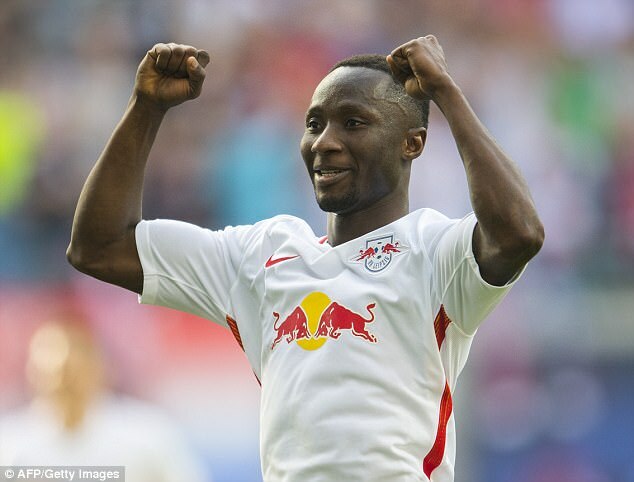 Keita arrived in the North West and had a medical on Monday to complete his deal. He will wear the No 8 shirt, Steven Gerrard’s old number. 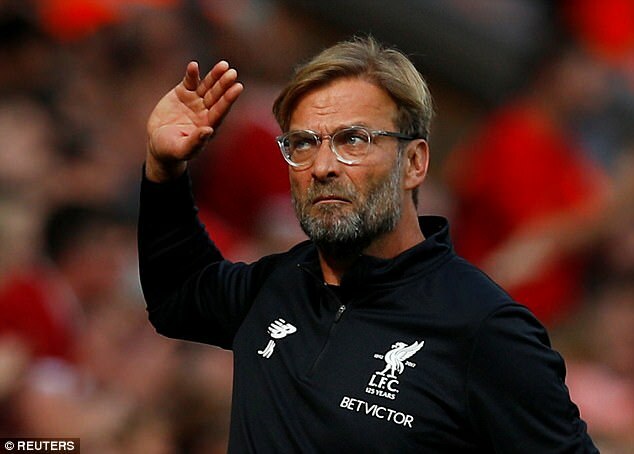 If Liverpool were able to land any of their other leading targets, it would represent a stunning end to a summer that has not always been plain sailing. The pursuit of Lemar inevitably has led to questions over Philippe Coutinho’s future. Liverpool maintain that the two transfers are not linked and their stance on the Brazilian has not changed. For all that Barcelona want him, they have stressed he is not for sale. But just as Liverpool will go to the wire with Van Dijk and Lemar, Barcelona are ready to do the same with Coutinho. They have had three bids rejected so far, the last being £114m, but their ambition to bring him to the Nou Camp is undiminished. 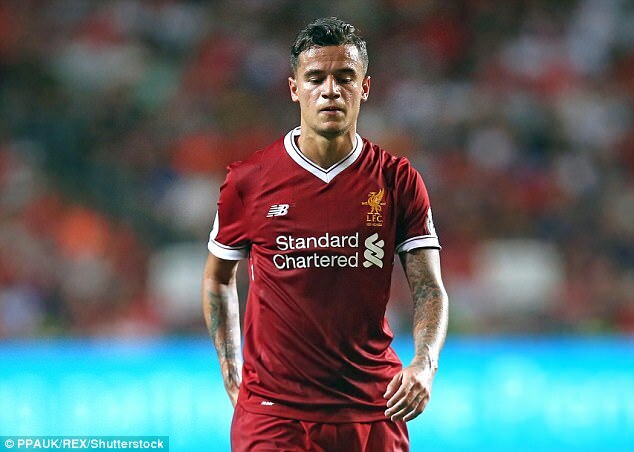 Yet Barcelona will only sign Coutinho if the player can arrive this summer, the club’s technical secretary Robert Fernandez told Sportsmail on Monday, as he confirmed the club were in negotiations with one unnamed player. Barcelona are understood to be trying to bring both Coutinho and Angel di Maria to the Nou Camp before Thursday’s deadline.